Although LinkedIn has often been referred to as the boring brother of Facebook and Twitter, it remains the most popular social network for professionals around the world. With over 380 million members, LinkedIn has grown its influence as a professional networking tool and can be extremely powerful when the user is aware of the platform’s hidden features. However, many young bloggers are not fully aware of the opportunities presented to them by this powerful platform and the few who are users, do not know how to optimize their web presence. There is a need for business owners and professionals in general to tap into these opportunities towards building relationships with potential customers, clients, partners and peers, and so I am presenting to you the top 4 simple and time-effective ways to make the best of your LinkedIn account. Everyone who is conversant with social media trends, understands the necessity for an outstanding profile. The way your profile is structured and the information made available on it are key to increasing online visibility with others. Very similar to SEO, all you need to do to achieve this is research the keywords related to your industry or service and integrate them in your profile as naturally as possible. 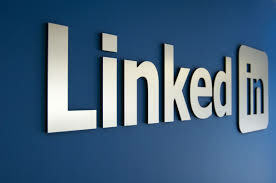 Recommendations have always been essential to the reputation and credibility of any professional and so, the LinkedIn platform offers a unique feature that functions as a form of recommendation for users. This feature enables members to endorse each other’s work within specific job roles and organizations, sharing evidence that adds credibility to the user’s profile and reinforcing both current and future applications. It is therefore important that users ask contacts, from colleagues to clients and even friends to endorse their profile. A higher number of endorsements will rank more favorable in LinkedIn search results. Another way to up your game on LinkedIn is to use video testimonials to reinforce the quality of your work. Most users, especially sole proprietors or small business owners that believe they already have a strong, existing consumer base, under-use and undermine the video upload feature on LinkedIn’s profile pages. The use of video, however, can help distinguish your brand or service from the vast majority of profile pages. Do some research, interview, record and upload genuine client testimonials which reflect a positive light on your service. You would be capitalizing on an already existing client base. A lot of LinkedIn users are not very keen on participating actively in any of the plethora of LinkedIn groups as it usually seems time-consuming, however, its benefits and rewards are long-term. All the user has to do is search for relevant, professional groups that are within their industry, make selections based on the group’s popularity, relevance in terms of keywords and existing membership base, then subscribe to daily updates, delivered directly by e-mail. The user can also now participate in group discussions on the go via mobile. It is a great way to remain visible and valuable in target markets. The key is being careful not to over commit to too many LinkedIn Groups. Simply take five or 10 minutes off your daily schedule to respond and interact with other members, as you share your insight and build strong professional bonds. These interactions usually increase your value on the platform.